I’m thrilled to share another true love story form a KT Literary client. Alexandra Duncan, author of Salvage and Sound, which Kirkus Reviews called “Essential”, and the forthcoming Blight, shares her true love story below. You guys are all so adorable! My high school boyfriend and I are a statistical anomaly. We started dating when I was fifteen and he was seventeen, and now, seventeen years later, we’re married and still disgustingly, insanely in love. None of that would have happened, though, if it weren’t for a book, a stomach virus, and my little sister. Jeremy and I hung out in the same crowd of black-clad theater freaks in high school, but our paths didn’t cross very often. One day, one of our mutual friends showed him a cartoon I’d drawn entitled “Psycho Cheerleader Pep Squad,” and he started trying to woo me by lending me books. He gave me Good Omens, then Neil Gaiman’s Sandman, and Robert Anton Wilson’s Cosmic Trigger. We would talk about books and comics at lunch or after school while we were waiting for the bus, and in the process, we learned we had a lot more in common than book nerddom. The thing that took our relationship beyond book flirting and into the realm of actual dating, though, was The Complete Works of William Shakespeare (Abridged). It’s satire that condenses all of Shakespeare’s major works into the length of a single play, and Jeremy had a copy of it. I brought the book on a long car ride with my family, including my eight year-old sister, who, unbeknownst to anyone else, had a stomach virus. We were nearly home when the back seat of the car turned into a scene from The Exorcist. My sister threw up all over me, the upholstery, and Jeremy’s book. Jeremy’s book! Having two younger siblings, I wasn’t phased by being thrown up on at that point, but the thought of returning a vomit-soaked book to a hot, nerdy boy who liked me made me want to crawl under the car and die. We didn’t have a lot of money, and Amazon wasn’t a thing yet, but I begged my mom to help me order a replacement copy through the closest bookstore, a 20-minute drive from our house. She was right. And that was when I realized I was serious about him, too. 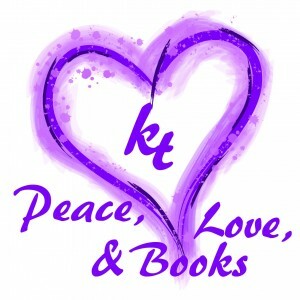 In my head, I was playing through scenarios where Jeremy was so grossed out, he stopped lending me books and hanging out with me, and that thought sent a sharp pain through my chest. I had cleaned up the existing book as much as possible, but I still wanted to cry every time I looked at its stained pages. Several weeks later, I gave Jeremy the brand new copy and sheepishly explained what had happened. He looked slightly confused, and then said, “Oh, thanks. But you didn’t have to do that.” And that was that. He wasn’t freaked out. He wasn’t grossed out. He still wanted to lend me books and squeeze out every second of time we could manage together. 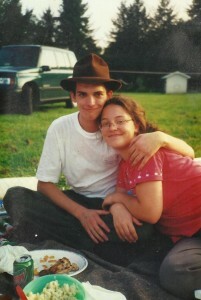 We went on our first date that October, stayed together through deaths in both our families, parental disapproval, and a long-distance relationship, and then married when I was a month shy of 22 and he was 24. Ten years later, in defiance of the statistics and conventional wisdom on high school romances, he is my best friend and the first reader for all of my novels. We have books in every single room of our house. We take turns reading to each other on car trips and in bed on our days off. If that isn’t a book nerd’s happily ever after, I don’t know what is. ← Great YA websites for readers!